The twins both met Baby James for the first time. 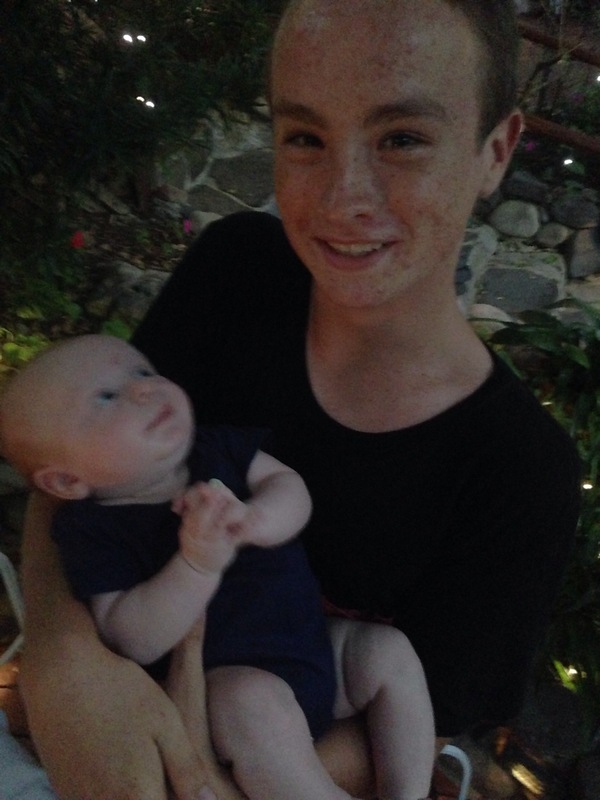 This is the first time Jasper has ever held a baby and he was a natural. I reminded them that I was just a little younger than they are now when the two of them were born. At 12 years old I’d change their diapers, rock them to sleep, play with them, & feed them. Jasper reminded me how much fun I had doing it. I’ve been taking care of them since they were born. They liked hearing some stories and it was great seeing my little brother holding a baby. He really is growing into a great young man.